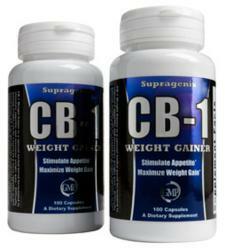 CB-1 Weight Gainer plans to continue to expand its direct shipping services. Supragenix will start direct shipping to the United Kingdom this week so they can meet the high demand of customers there interested in ordering the fast weight gain pill called CB-1 Weight Gainer. Supragenix was founded in 2010 and has helped thousands of users reach and maintain their goal weight through their weight gain pill called CB-1 Weight Gainer. It is an is an all-natural weight gain supplement designed to increase appetite and slow down the metabolism so users can get the extra calories they need to gain weight fast.